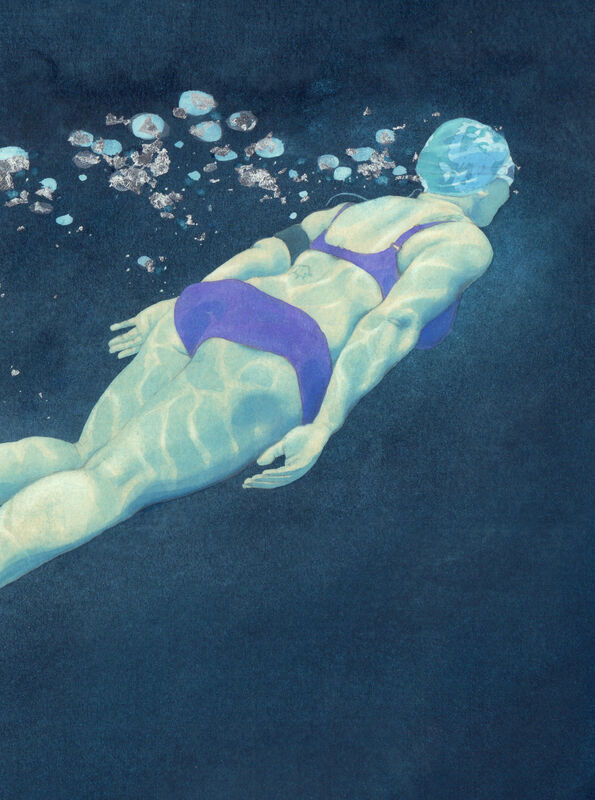 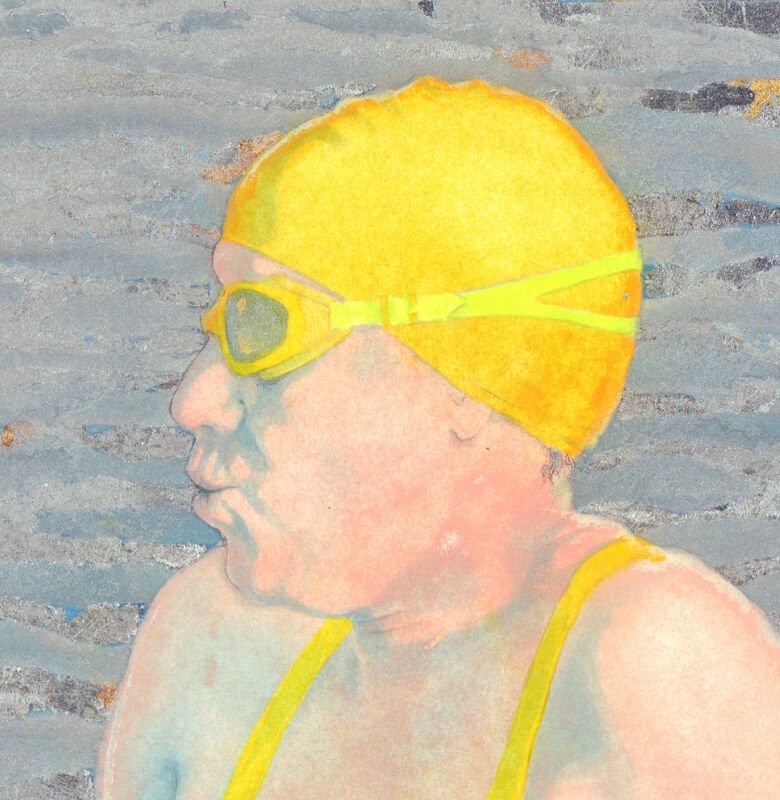 I usually swim with Lucy at Clevedon Marine Lake. 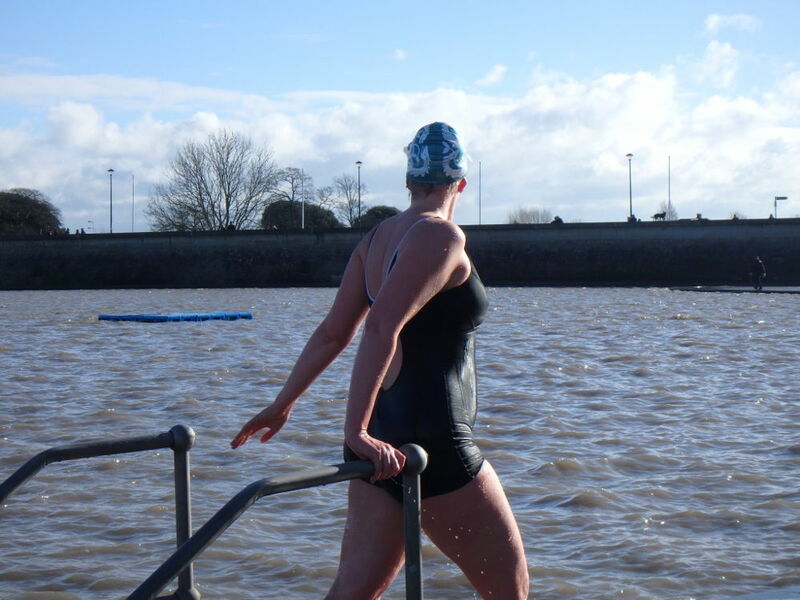 A fantastic and free facility but the lake is topped up by the muddy brackish waters of the Bristol Channel on the highest of tides, and if you can see as far as your feet through the water it is a remarkable and rare event. 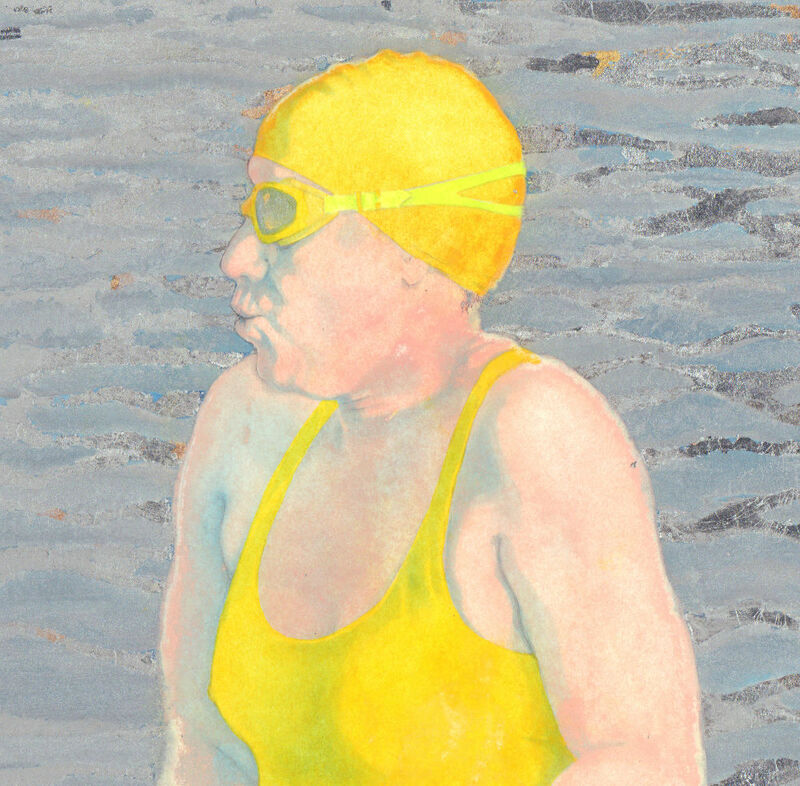 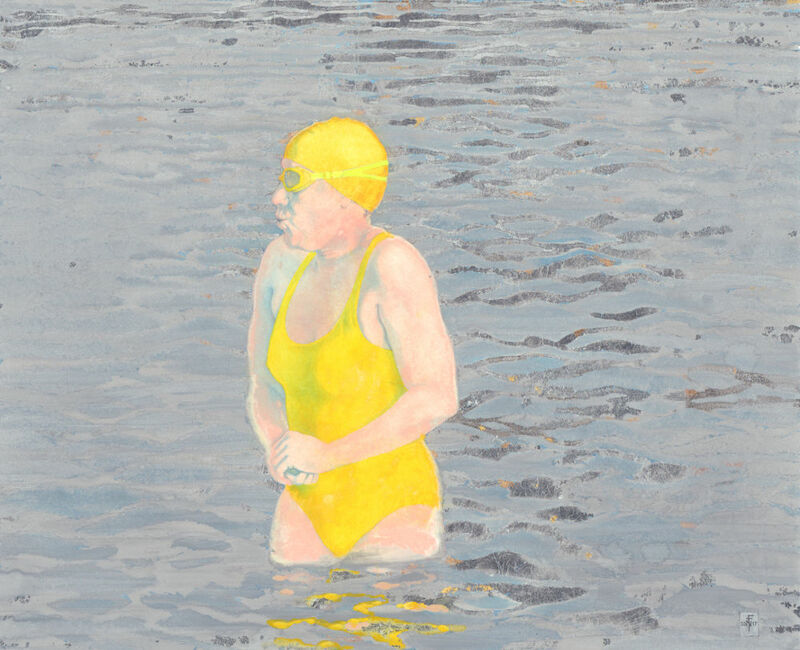 Lucy asked me to paint a painting of her swimming, so we went off to Vobster with my camera, and I took lots of snaps and this painting is the result. 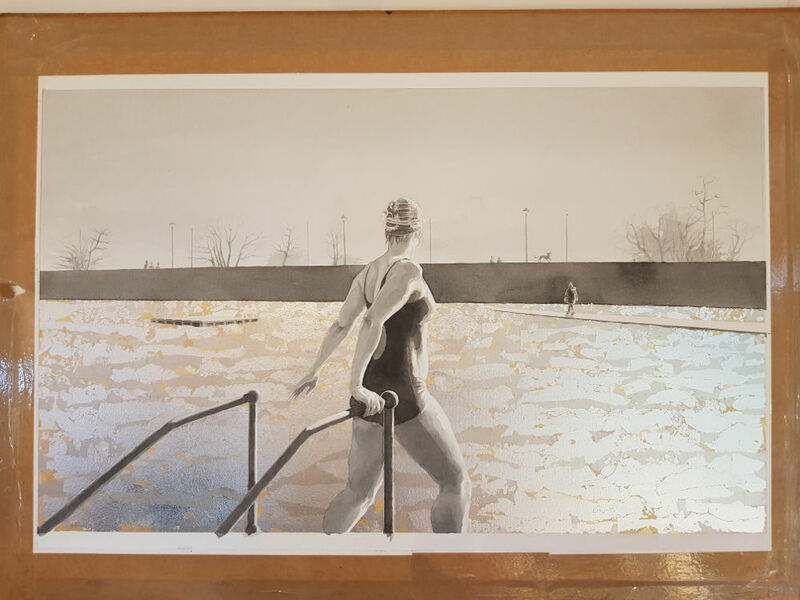 We were just about lucky with the weather – the sun deigned to shine between the November clouds for a few minutes, but the water is lovely and clear anyway, so it’s always good for photos. 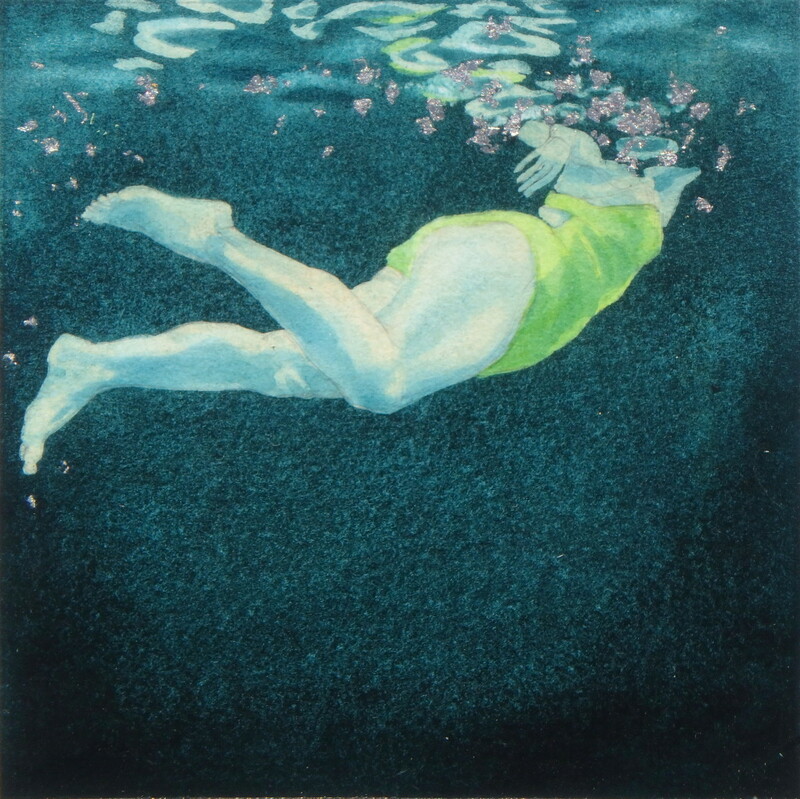 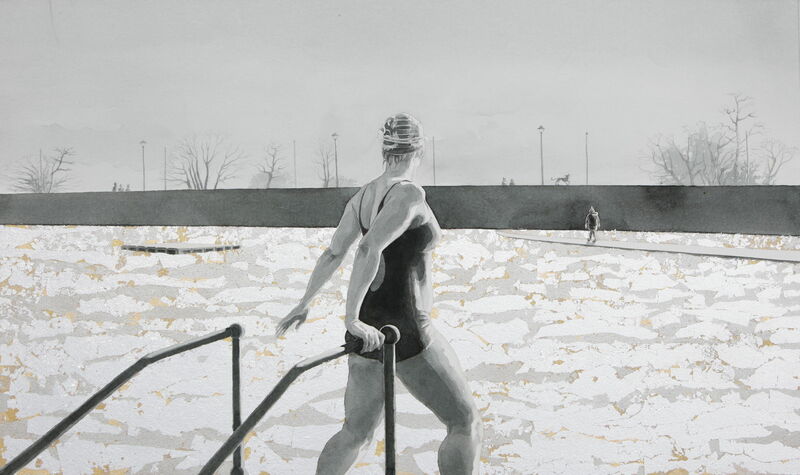 This is painted in watercolour with fragments of aluminium leaf for the bubbles. 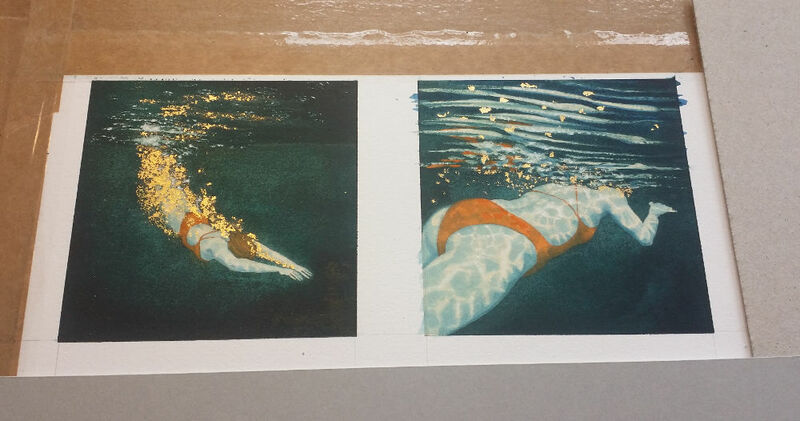 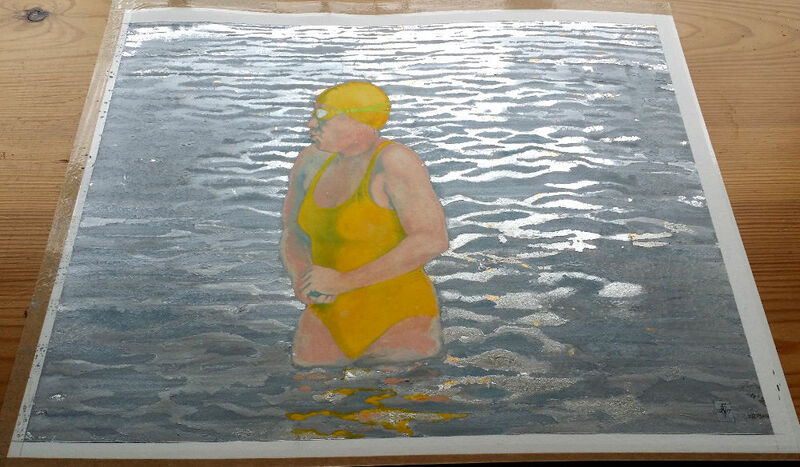 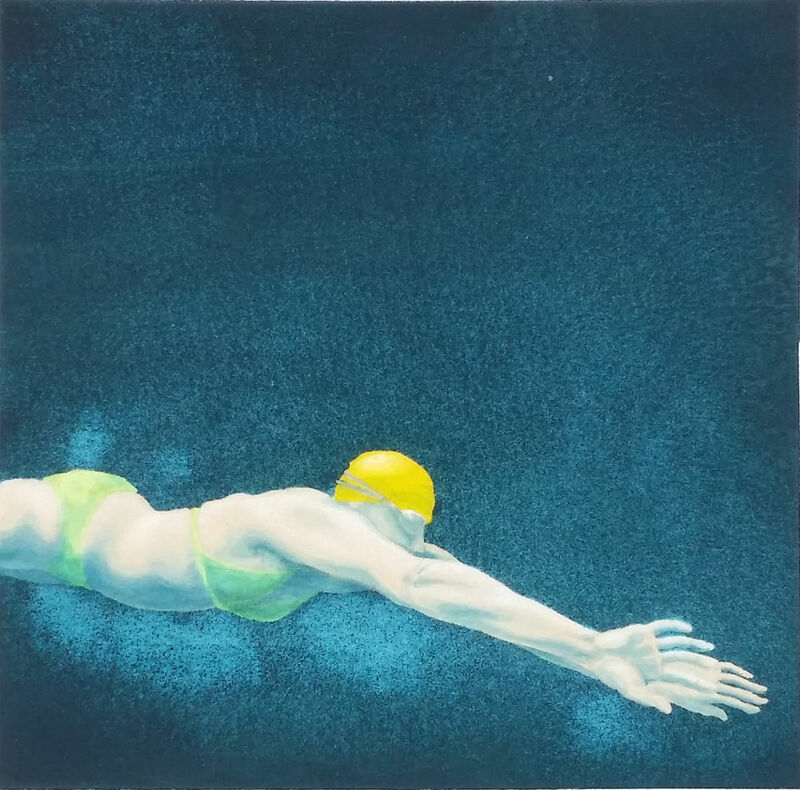 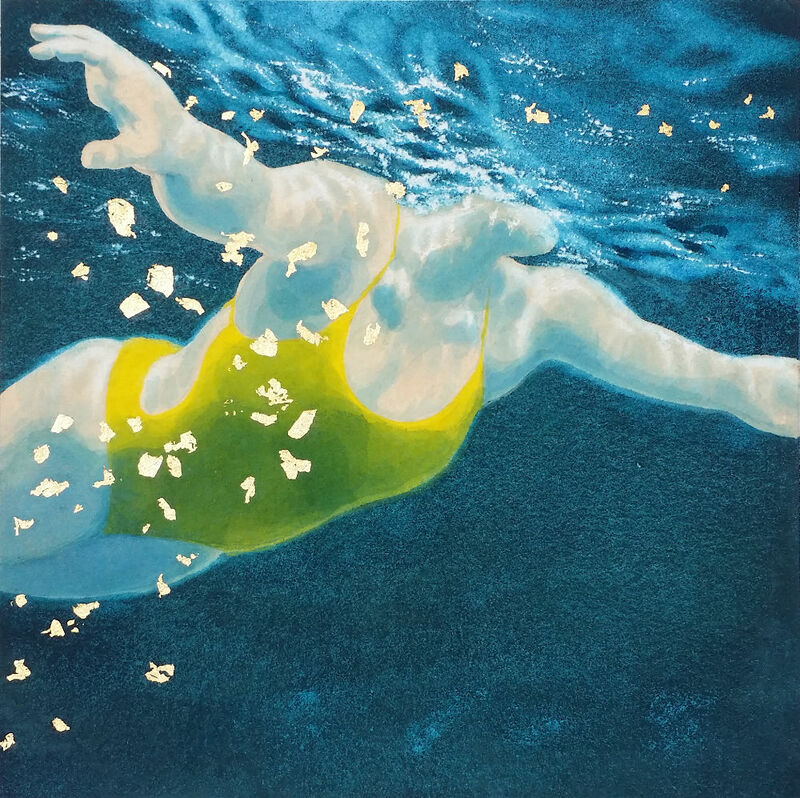 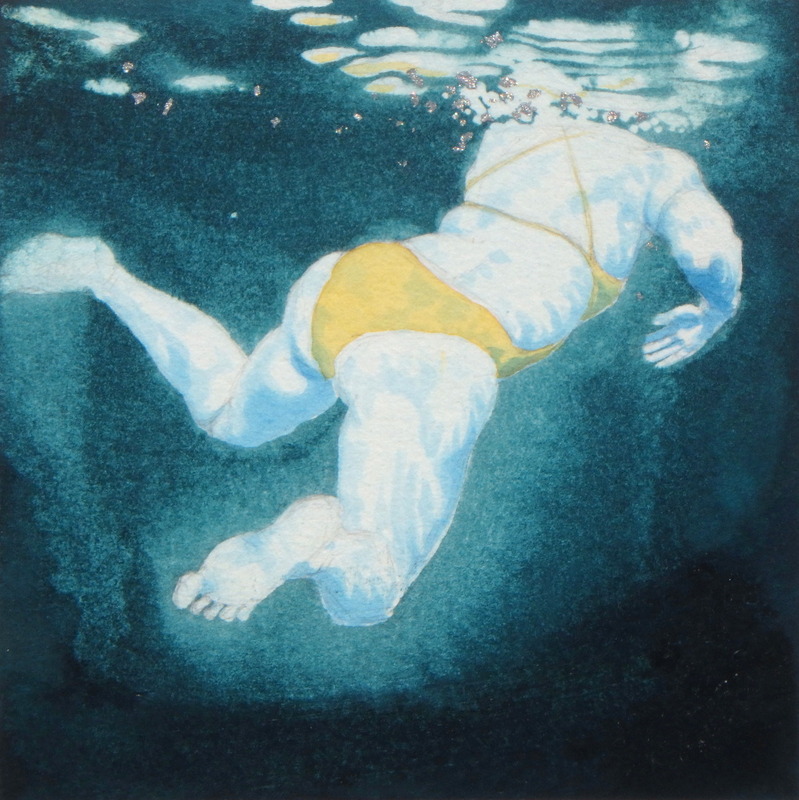 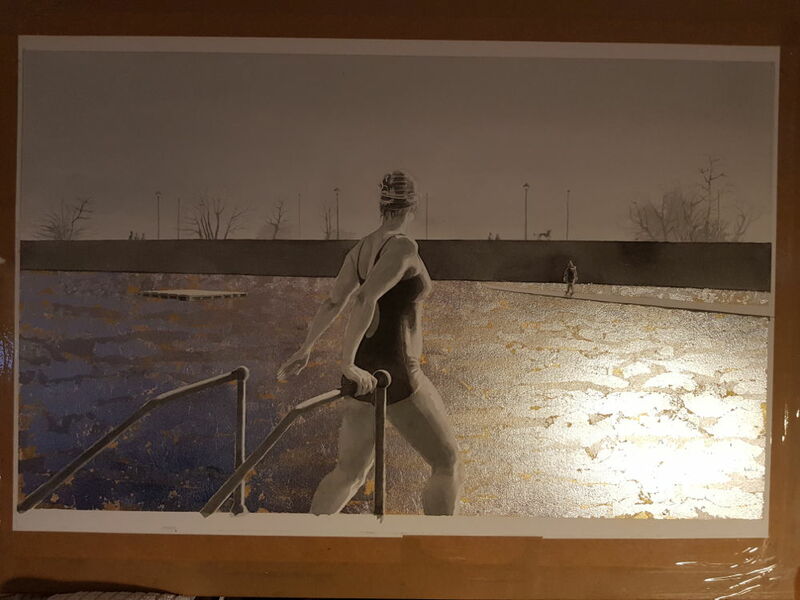 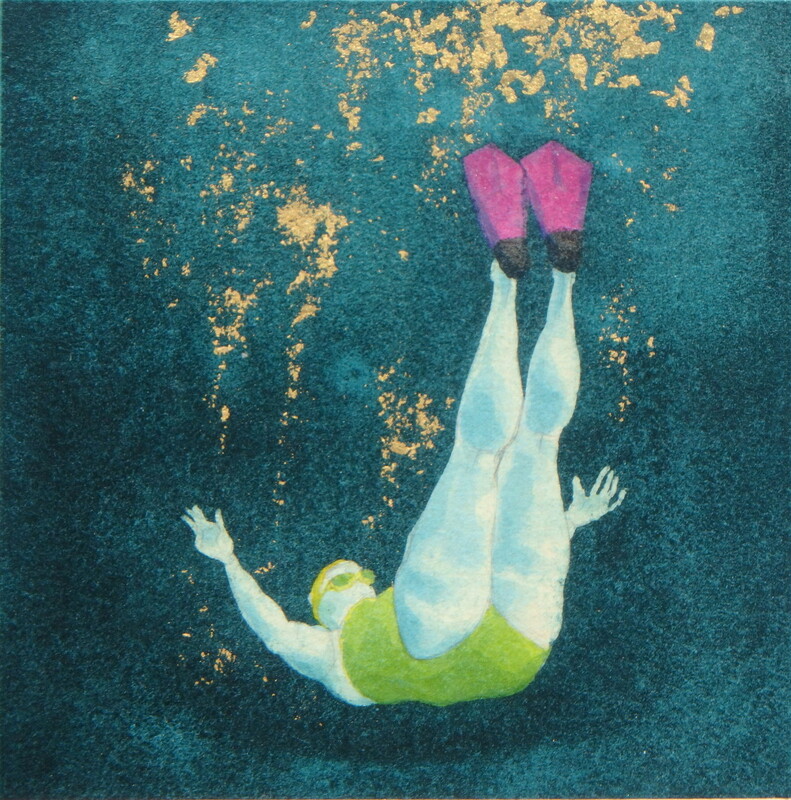 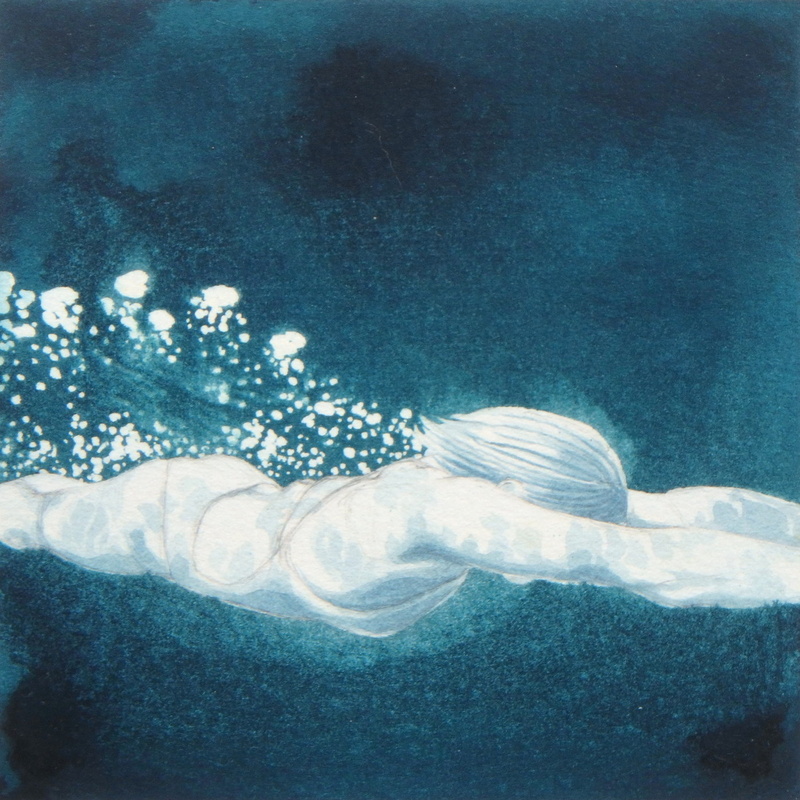 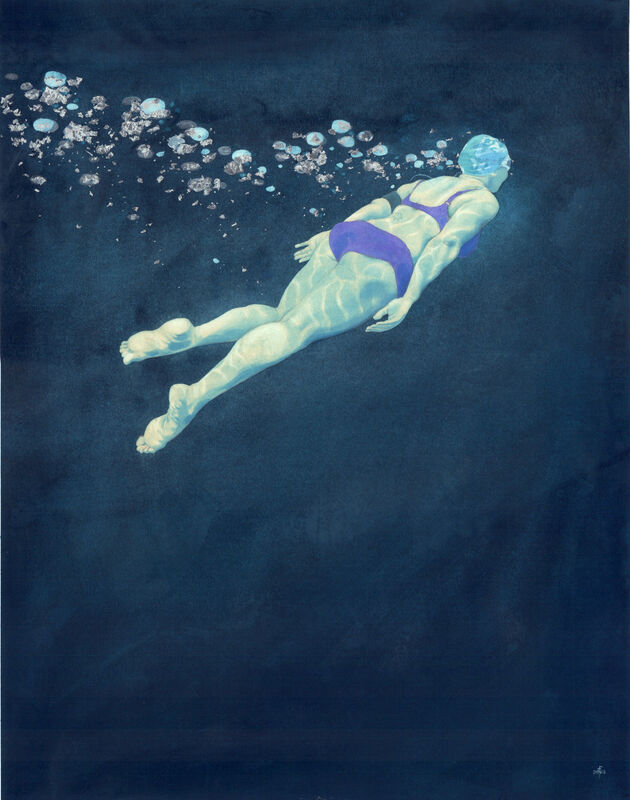 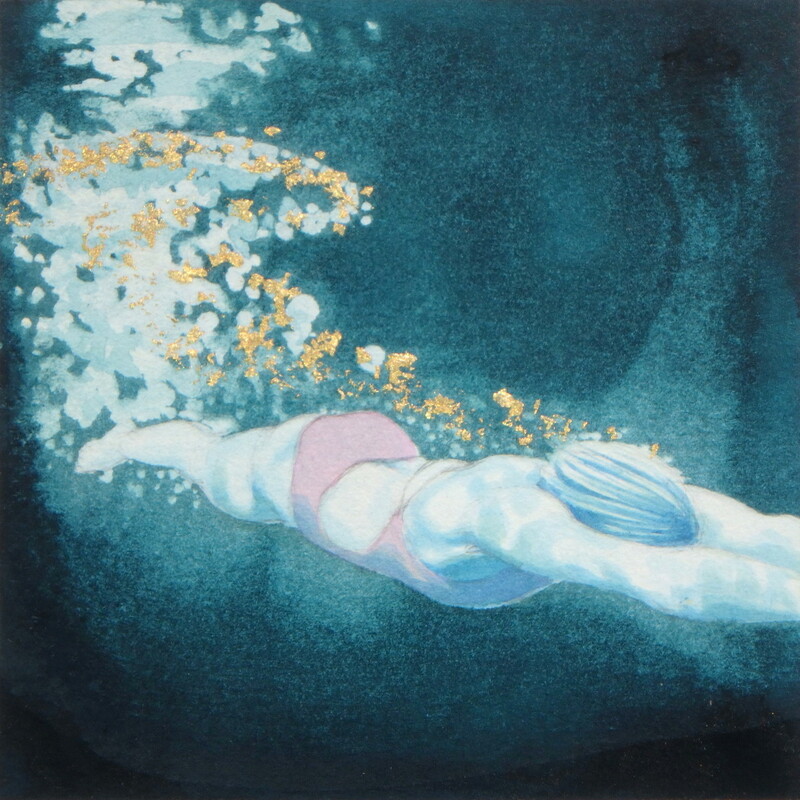 This entry was posted in commissions, Metal leaf, Paint, swimming and tagged aluminium leaf, art, commissions, Metal leaf, metal leaf on paper, swimmer painting, swimming, underwater swimmer, Vobster on February 22, 2018 by Nancy Farmer.